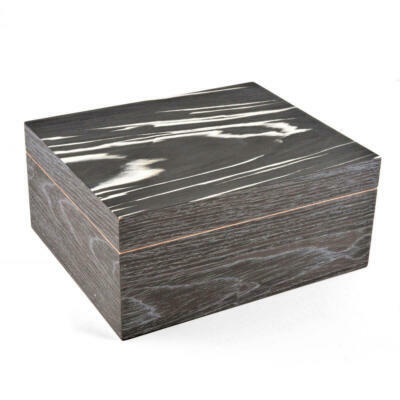 Fine wood grains are absolutely fantastic. This humidor, is the perfect choice for any cannabis lover, 4 one Oz jars, lock and key to keep little hands out! Weed humidor with style and flare! Keeps you buds fresh. 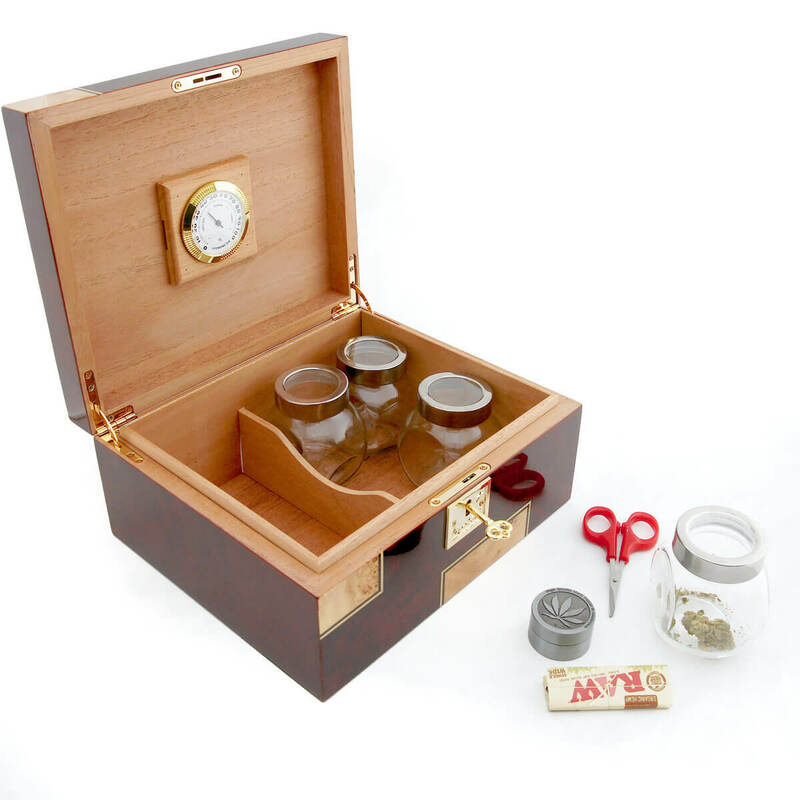 The Deniro cannabis humidor / weed humidor. 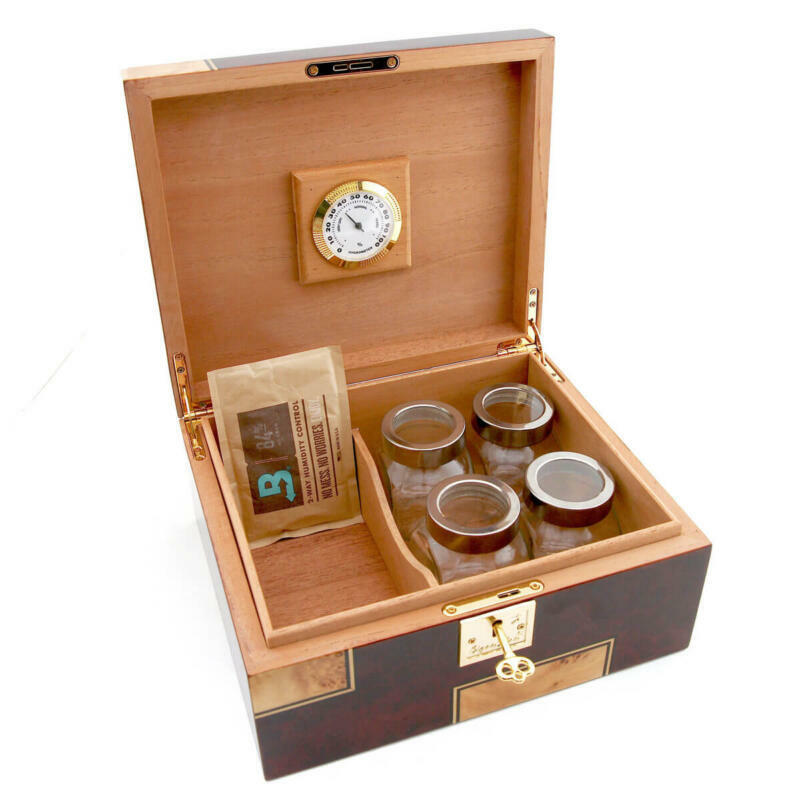 Are you the market for a luxury place to store your Cannabis Canada? Made from strong and lively red tone Mapa Burl with intricate natural Mapa Burl inlays. 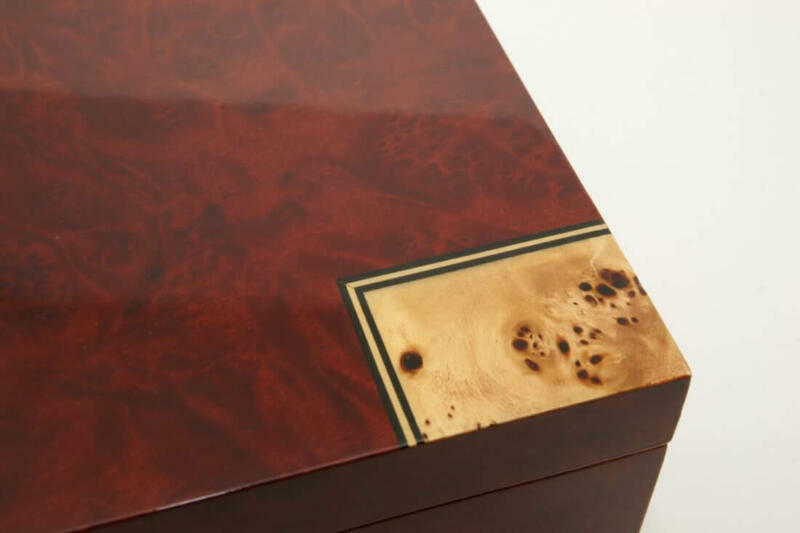 Brilliant high gloss piano finish. 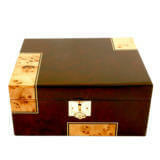 Rich coloring and great design are graceful and well blended. 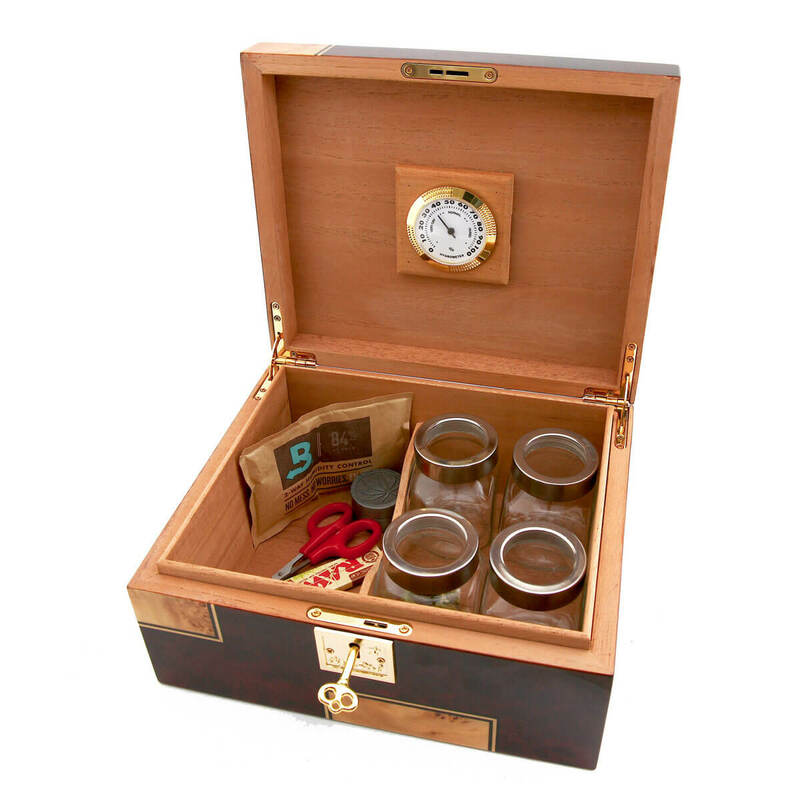 Hand crafted from selected solid woods makes this a perfect choice for those looking for a handsome and unique cannabis humidor. 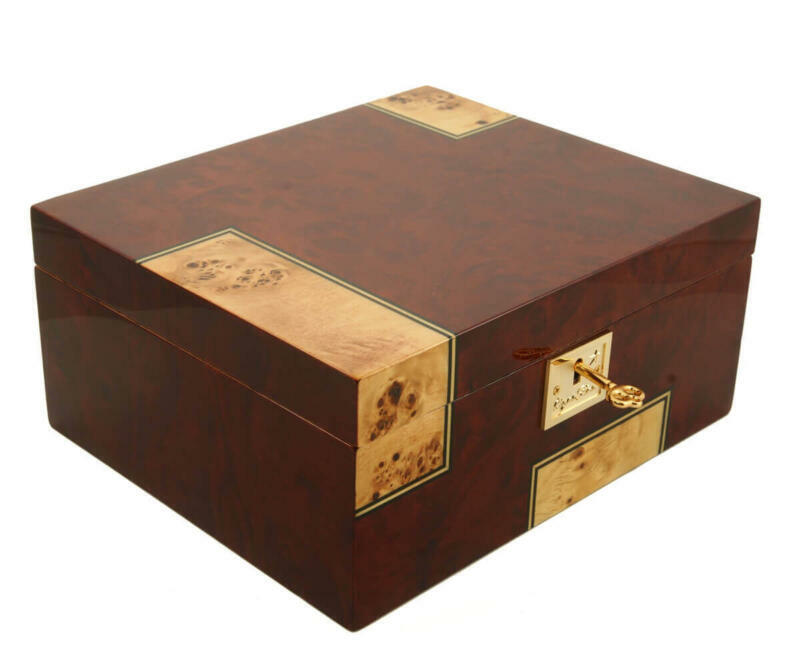 Fine wood grains are absolutely fantastic. 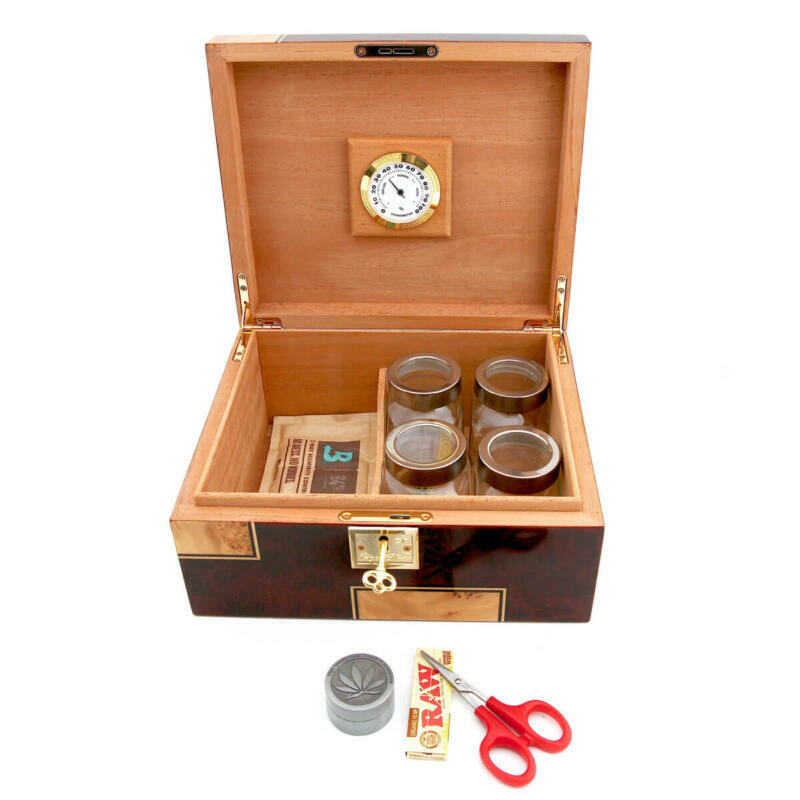 This humidor , is the perfect choice for any cannabis lover. Weed humidor with style and flare! 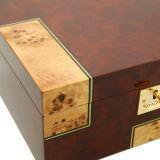 The Deniro humidor Canada is surrounded by premium quality kiln dried Spanish cedar. 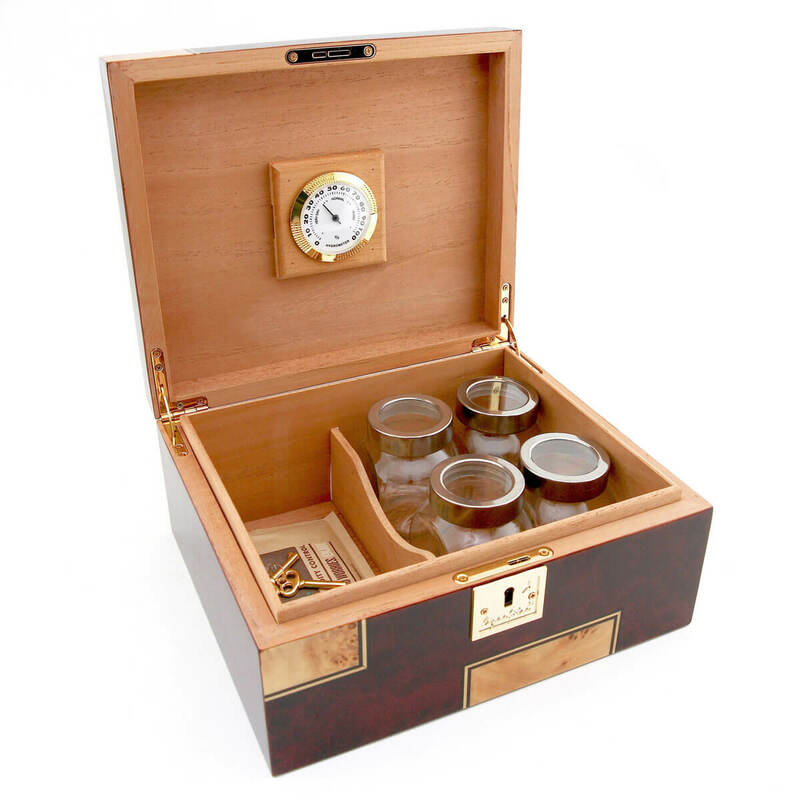 The superbly crafted humidor and lid are a perfect match that forms a tight seal to maintain a constant and hassle-free 62% humidity level. 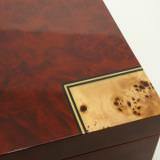 Made from Red Mapa Burl with natural Mapa Burl inlays . Brilliant high gloss piano finish. Lock & key to keep out little hands. 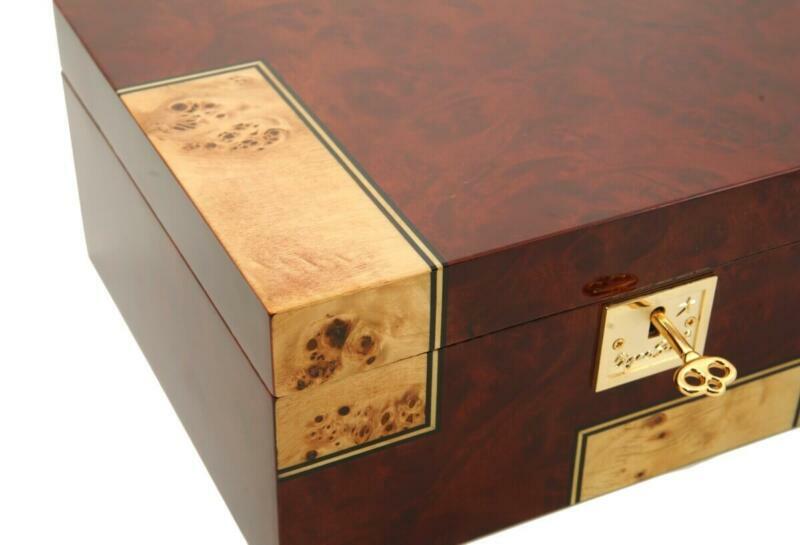 100% handcrafted, amazing detail throughout the humidor. 1 large easy-read hygrometer placed on inside of humidor. 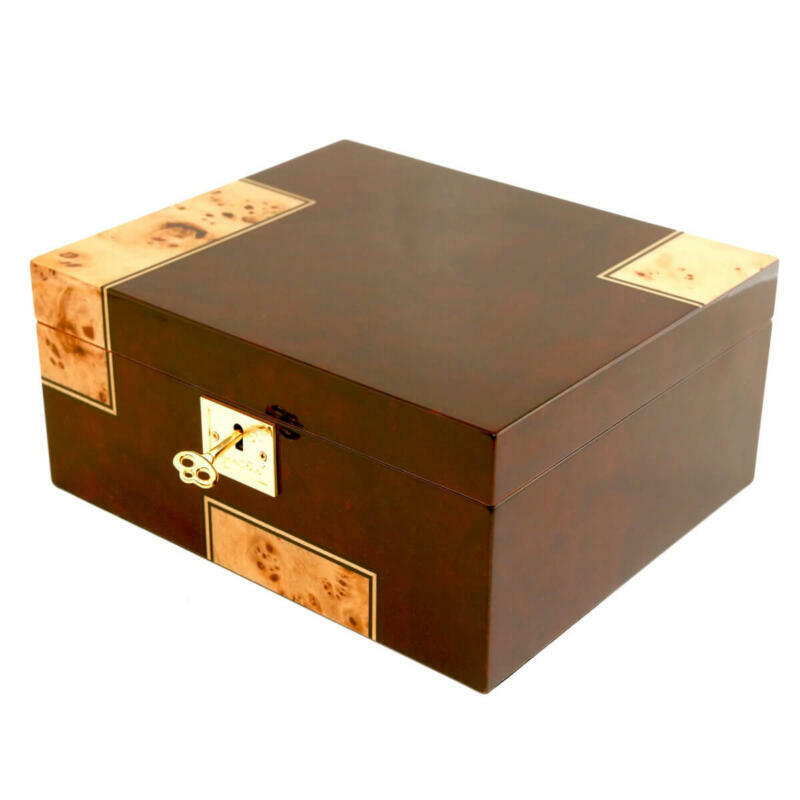 Fully lined with premium kiln dried Spanish cedar. 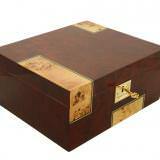 1 Spanish cedar movable divider. 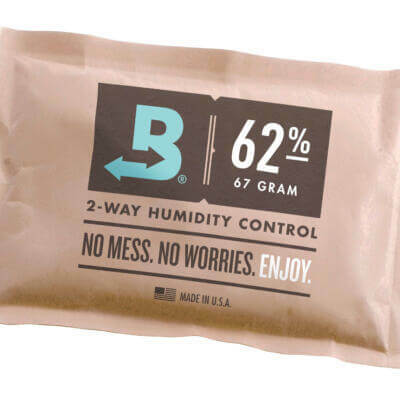 1 Boveda 62% two way humidity packet. 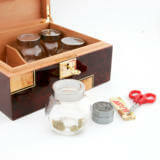 4 one OZ Glass Jars With See Through Lids.